Despite a high rate of involvement within the environmental sector, women, who often rely on natural resources in their daily lives for basic subsistence needs, have a low rate of participation in environmental decision making. 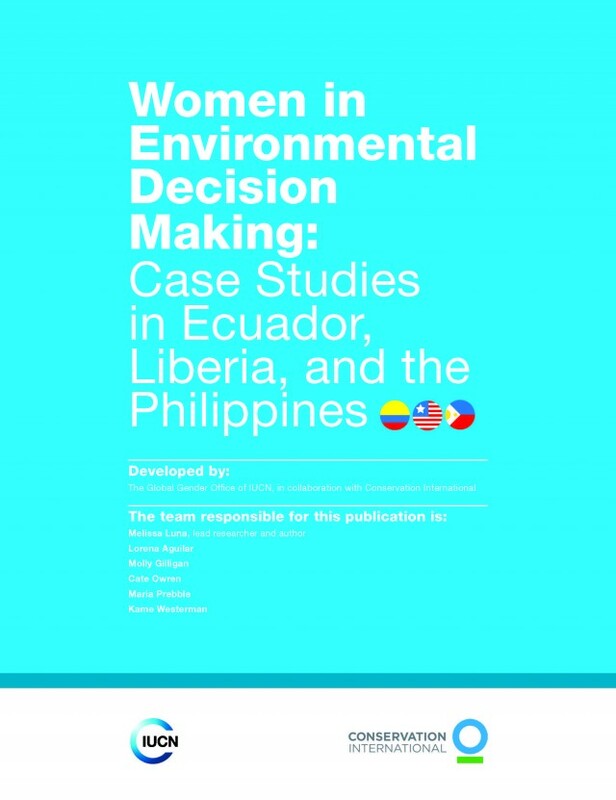 IUCN’s Global Gender Office, in collaboration with Conservation International, has produced this report to examine the status of women in environmental decision making roles in Liberia, Ecuador and The Philippines. The report highlights the gaps in country-specific policy and implementation pertaining to women and the environment, and offers recommendations on how to remedy the issues at hand.